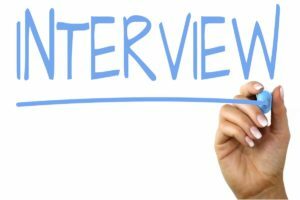 What Are Interviewers Looking For? - Southeast KANSASWORKS, Inc.
No one can get a job without going through a job interview. Understanding what the interviewer is seeking from a candidate can assist you in answering the interviewer’s questions. The interviewer has just a few minutes to decide if you are the right person for the job. Knowing specifically what the interviewer is looking for will help you shine in this most important part of the job search process. They’re afraid to make a bad hire. The process of hiring and training people is expensive. An employer needs to make sure they’ve got the right person for the job before they put precious resources into training them. Also, if the other workers don’t like the new employee, the interviewer will feel responsible. They’re not always trained to interview people. Most interviewers are people who have risen into managerial positions. They don’t always have the training on how to select new employees. They don’t want to have to turn people down. There are usually a limited number of open positions and a large number of applications. The interviewer doesn’t like being put in the position of saying no to someone they really like.